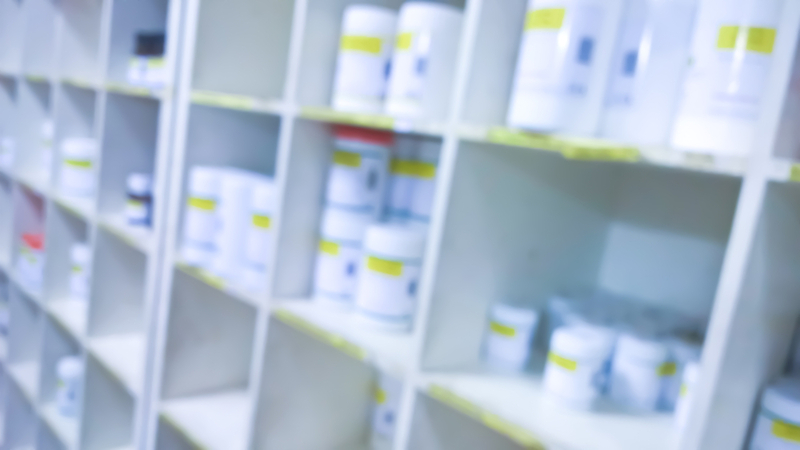 On June 12, the American Medical Association announced that drug shortages pose an urgent public health crisis that should be of concern to all Americans. Why this level of concern? Drug shortages have serious consequences. Most importantly, they often endanger patients’ lives. But even when drugs are available, skyrocketing costs make them unaffordable for many—especially the elderly. To address the critical risks posed to patients from chronic shortages and rising prices of life-saving generic medications, three national foundations committed $30 million earlier this month to establish Civica Rx, a new not-for-profit generic drug company. The Laura and John Arnold Foundation, the Peterson Center on Healthcare and the Gary and Mary West Foundation each committed $10 million, joining seven large U.S. hospital systems representing approximately 500 U.S. hospitals as governing members of Civica Rx. Civica Rx, the initiative previously known as Project Rx, will help patients by addressing shortages and high prices of lifesaving medications. The thinking goes that as a nonprofit, Civica Rx will have no incentive to artificially inflate or arbitrarily hike prices; the only stakeholder who matters is the patient. Since the initiative was announced in January 2018, more than 120 health organizations representing about a third of the nation’s hospitals have contacted Civica Rx and expressed a commitment or interest in participating with the new company. How Severe is the Shortage? Drug shortages have become so widespread that Food and Drug Administration Commissioner Scott Gottlieb in July created a task force to come up with solutions. Each year, the U.S. is short on nearly 200 drugs and medical supplies including such things as injectable morphine and other powerful painkillers, anesthetics, antibiotics, electrolytes, cancer drugs and many more. And with short supplies and fewer suppliers for key drugs, there have been price increases. There are a number of reasons for the shortages. Some are related to manufacturing problems and recalls. However, many pharmaceutical companies are unable and/or unwilling to maintain a pipeline of needed medicines. There are simply not enough companies making the drug at a rate that can keep up with demand, and part of that problem is the consolidation of the manufacturers who produce generic drugs. And these shortages can persist for months. A recent study published in the Journal of Pediatrics found the average length of shortages for drugs used in ambulatory medicine is more than seven months. When health care providers cannot administer needed drugs, they cannot provide proper treatment. The ebb and flow of available drugs has medical practitioners at hospitals across the country relying on what they have, safeguarding what’s available, and using ingenuity to care for their patients. While the FDA works with private industry to combat these shortages and provide incentives for them to do so, major healthcare systems and philanthropy see a role as well. Previously, the Laura and John Arnold Foundation has provided the Institute for Clinical and Economic Review nearly $19 million in grant funding to support efforts to improve prescription drug pricing and evaluation, with the goal of ensuring sustainable access to high-value care for all patients. This new initiative of the Arnold Foundation is an extension of this prior work. "The chronic shortage of critical drugs, compounded with skyrocketing prices, is a double blow to our most disadvantaged populations," said Kelli Rhee, president and CEO of the Laura and John Arnold Foundation. "As we continue to pursue more comprehensive solutions, this initiative will disrupt the current market dynamic and provide short-term relief." Civica Rx will begin applying to the FDA as soon as early 2019 to make and sell the new generics. And the company will likely start by contracting with existing manufacturers to make the medications under its label. Eventually, though, it could buy manufacturing facilities of its own. Early response to Civica Rx so far has been generally positive. David Mitchell, founder of the advocacy group Patients for Affordable Drugs—another grantee of the Arnold Foundation—says the nonprofit idea is good, but the impact will depend on which drugs the new venture decides to make. "If they take on very expensive drugs for rare diseases and for which there is no competition... that's good. If it is to compete where there is already competition and lower prices, that's not as good," he said.